In Houston, we take our icons pretty seriously. But it’s not all ZZ Top and Beyoncé up in here. No, we also make icons out of things we eat. 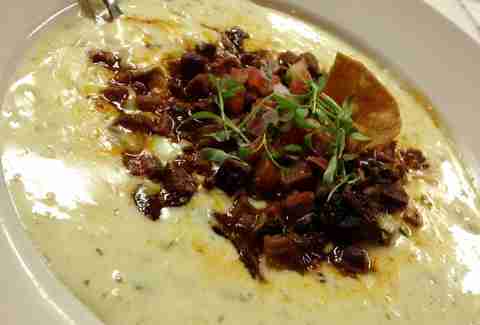 Or more accurately, things we drenched in cheese, gravy, and chipotle butter. 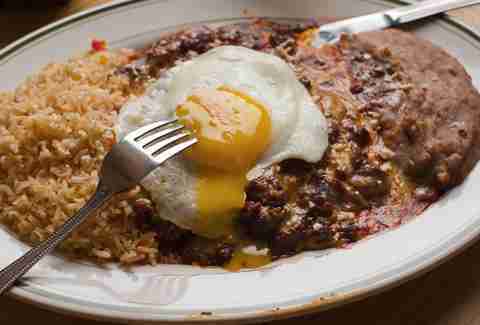 And while Houston may not have invented these essential dishes, we most certainly perfected them. 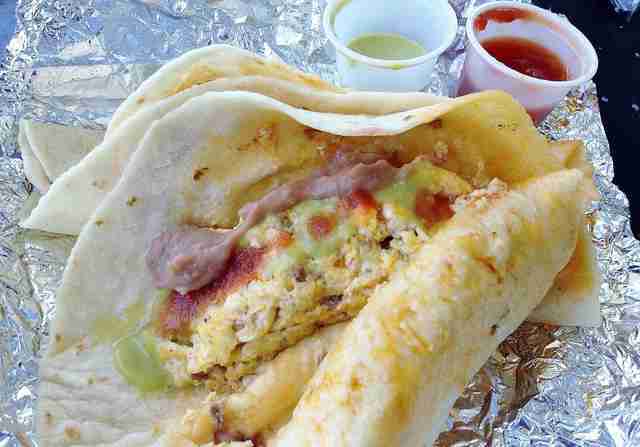 Here are H-town’s 13 most iconic edible offerings, and the places to get them. 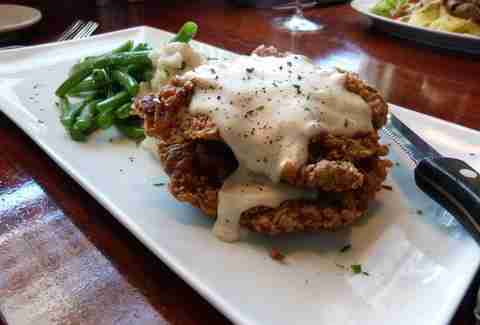 Frank’s is known for reinterpreting classics, but honestly, a great chicken-fried steak doesn’t need much tweaking. Instead, the kitchen focus on farm-fresh, high-quality beef with a crazy good, crisp, and craggly crust doused with an awesomely white gravy with cracked black pepper to finish the old-school number off with a major bang. Nothing is more Mutt City than the amalgamation of Vietnamese and Cajun cuisine. 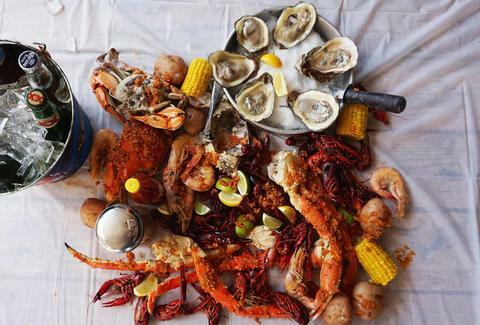 The traditional Gulf Coast crawdaddy boil is made even finer with the addition of things like garlic butter, Thai basil, and crab legs. Things move at supersonic speed once you make your way up to this taco shack’s cafeteria-style steam trays, so you better be prepared. If you’re not, just point and smile as you end up with some combination of huevos, chicharrones, beans, chorizo, and salsas all shoved into the softest, lardiest handmade tortillas in town. You’ll find a ton of imitators around town, but no place hits the spot quite like this OG pastry shoppe on Telephone Rd. 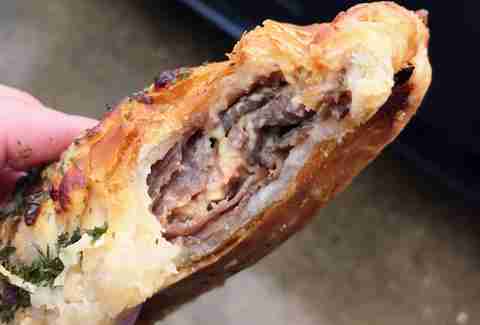 It recently got a facelift, but you’ll still find the excellent soft, doughy, and flaky staples stuffed with jalapeño sausage and eggs, roast beef and cheese, and sweet, sweet cream cheese. Buy some for now. Buy more for later. You’ll find vats of molten cheese at any Tex-Mex haunt in town, but the Beaver’s “knocked up” version reigns as one of the finest quesos around. That’s because -- in addition silken, green chile-spiked asadero cheese -- the icehouse packs in oak and maple-smoked barbecue brisket. The result is nothing short of molten magic. 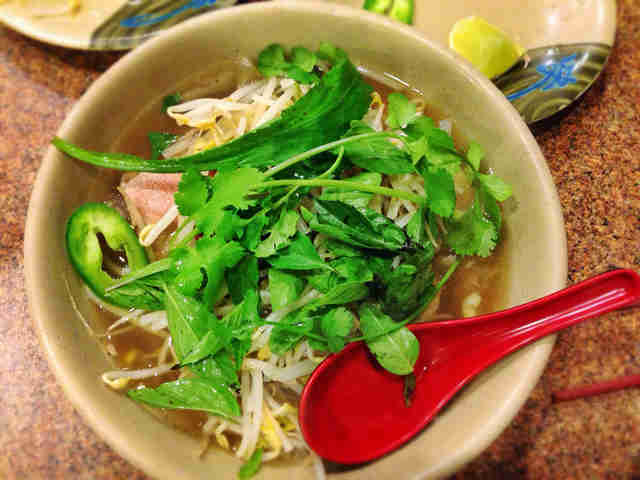 Hit any of the growing number of shops in Pho Binh’s Vietnamese empire to experience piping-hot bliss in the form of beef noodle soup. We suggest adding silky, soft bone marrow to the already rich and fatty beef broth to take things to a more serious level of comfort. 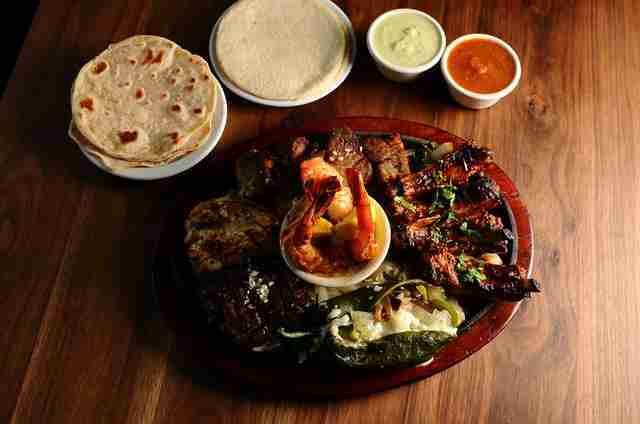 Fact: Mama Ninfa is credited with igniting the “fajita craze” that ultimately introduced Tex-Mex to Americans across the country. Served on a searingly hot comal alongside fat handmade tortillas (because there is no other way), housing some of Mama’s outside skirt steak remains a Houstonian right of passage to this day. 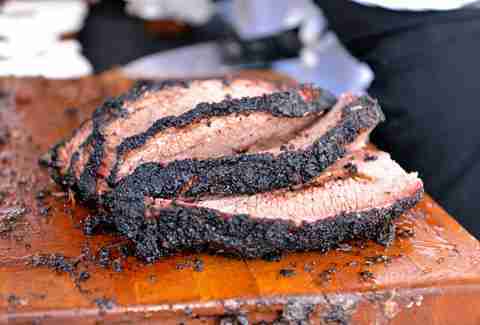 In Texas, brisket is king. Thankfully, Houston has have its very own Sultan of Smoke in chef Ronnie Killen, who stands by the fact that quality smoked beef needs nothing more than a salt and pepper rub. And as such, his brisket, with its glistening rendered-fat cap and meltingly tender finish, is nothing short of heaven. Hail to the Sultan. 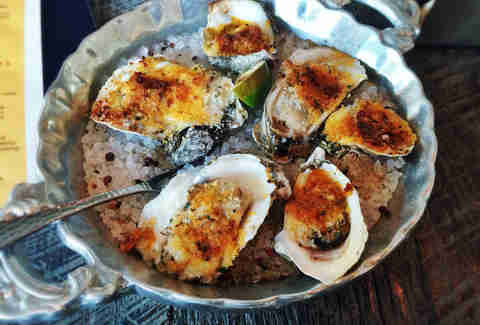 Gulf oysters on the half shell are good enough as is, but when this coastal-Mexican eatery tops them with a man-sized dollop of chipotle butter and breadcrumbs, then wood-roasts them to create a deep, golden crust, things get REAL. Pair them with happy hour bubbly at the bar. Houstonians are all about that tamale life (even our dive bars have tamale guys), and everyone knows the best kind are made by your abuela. 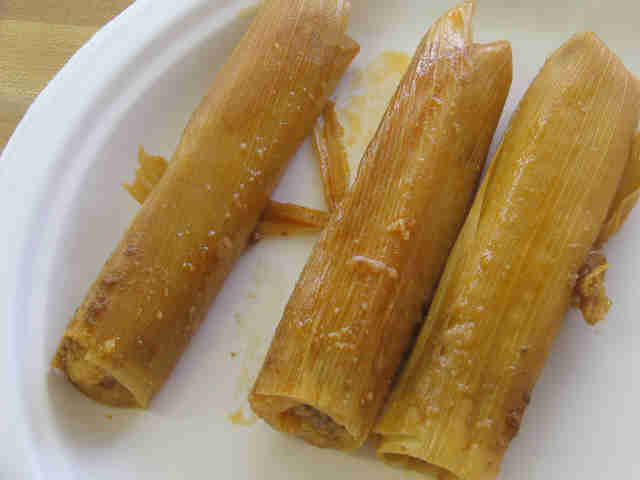 The second best, however, are definitely the hand-rolled ones at this tamale shack. Bring cash to get the oily beauts loaded with things like jalapeño and cheese or shredded pork. Dip in both red and green sauce. Demolish. Rinse. Repeat. 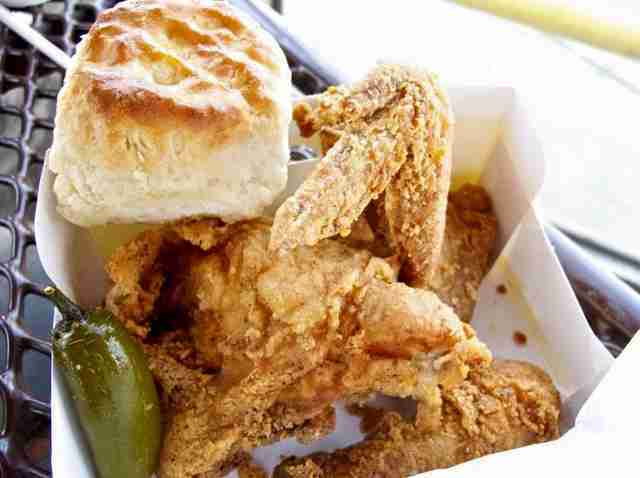 While there’s certainly no shortage of excellent fried bird in town, you’re not a real life Houstonian until you’ve had a Creole-spiced three piece & biscuit combo from this homegrown superstar. The chicken chain has plans to grow to over 500 national franchise locations in the next 10 years, but you’ll want to get your finger lickin’ on at the original Scott St one, which is still widely considered the best in town. El Real’s adherence to tried & true vintage Tex-Mex means fresh lard is rendered in house, tortillas are handmade, and cheese enchiladas coated in deep-red chile con carne are sloppy as all hell. Word to the wise: If you’re not adding a fried egg and washing it down with one of the most perfect on-the-rocks margs in town, you're doing it wrong. Our proximity to Louisiana and an influx of NOLA natives means the Big Easy’s favorite sandwich is near and dear to our hearts. 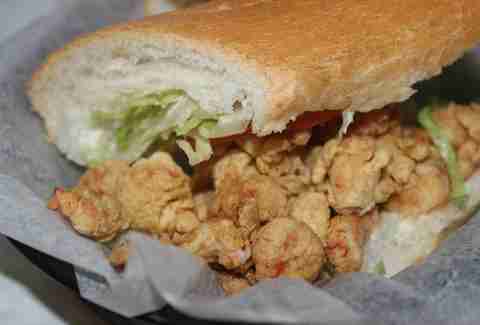 With po-boys on restaurant menus all over town, your best bet is to get one from the most unassuming hole in the wall. 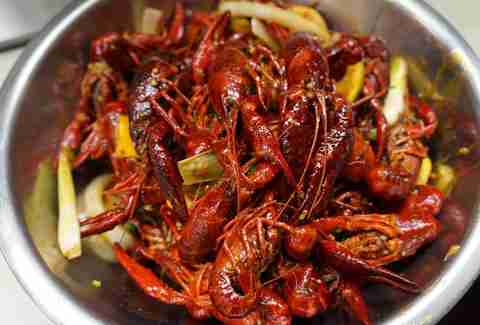 And the best hole in the wall is the Cajun Stop, where the LA native owner pumps out cult favorites stuffed with crispy fried Gulf shrimp, extra sloppy roast beef, or all of the above, if you're going for the whole surf & turf thing. Which you should. Brooke Viggiano is a Houston writer who prefers everything in her life be smothered in cheese, gravy, and chipotle butter. Follow her gravy-coated thoughts @BrookeViggiano.